Benefit from the skills of real-time practice in chambers. This course is designed for aspiring litigators and junior advocates. A majority of your time will be spent working in chambers and this course helps you learn the essential skills and knowledge that you will have to pick up immediately upon commencing practice, including how to read and present cases (judgments), how to communicate with clients and colleagues, the legal requirements of pleadings in civil and criminal proceedings, how to present factual and legal arguments, and much more. 1. What kind of lawyer are you? You represent Ms. Kaur, who is leasing a store in a new mall in Mumbai. The mall has three levels and over 100 stores, including food and beverage outlets. Ms. Kaur intends to open a shop that sells greeting cards, wrapping paper and trimmings, small gifts, and the like. The mall is due to be completed next month, and she would like the details of the lease settled as soon as possible so as she can complete a fit-out of the store in time for it to open when the mall does. Until now, Ms. Kaur has been negotiating the lease with the owners of the mall, MallCorp. However, some issues have arisen and she wants to be sure that she is protecting her interests. So she has decided to seek legal advice. She wants you to help her negotiate the final aspects of the lease that need to be settled, and draft the final lease that will be signed by the parties. You have finalised your draft of the lease, and need to send it to the lawyer for MallCorp for their consideration. Which of the following is the least suitable draft of the body of the cover letter that you would send with the draft contract? Q 1. You represent Ms. Kaur, who is leasing a store in a new mall in Mumbai. The mall has three levels and over 100 stores, including food and beverage outlets. Ms. Kaur intends to open a shop that sells greeting cards, wrapping paper and trimmings, small gifts, and the like. The mall is due to be completed next month, and she would like the details of the lease settled as soon as possible so as she can complete a fit-out of the store in time for it to open when the mall does. Until now, Ms. Kaur has been negotiating the lease with the owners of the mall, MallCorp. However, some issues have arisen and she wants to be sure that she is protecting her interests. So she has decided to seek legal advice. She wants you to help her negotiate the final aspects of the lease that need to be settled, and draft the final lease that will be signed by the parties. You have finalised your draft of the lease, and need to send it to the lawyer for MallCorp for their consideration. Which of the following is the least suitable draft of the body of the cover letter that you would send with the draft contract? A. You have to write a letter of opinion persuading Ms. Kaur of what conditions are best to accept in her lease, and provide the best estimate of your legal fees. B. 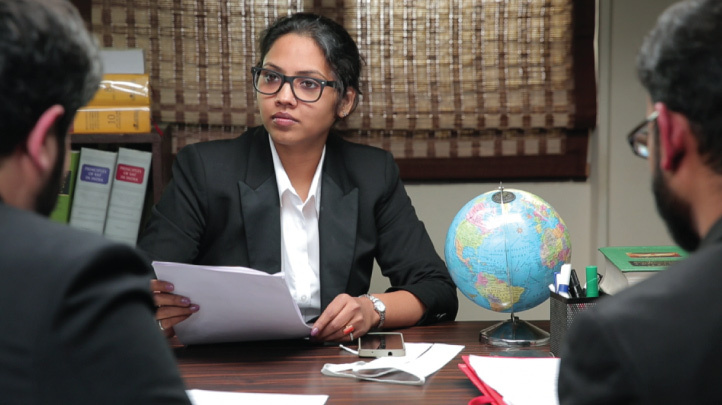 You have to write a letter of opinion that objectively sets out Ms. Kaur’s options for the lease, and provide the best estimate of your legal fees. C. You have to write a letter of opinion persuading Ms. Kaur to accept all conditions that MallCorp require so as she can get her lease, and provide the best estimate of your legal fees. D. You have to write a letter of opinion that objectively sets out what would happen if Ms. Kaur took MallCorp to court, and provide the best estimate of your legal fees. Q 3. You represent Ms. Kaur, who is leasing a store in a new mall in Mumbai. The mall has three levels and over 100 stores, including food and beverage outlets. Ms. Kaur intends to open a shop that sells greeting cards, wrapping paper and trimmings, small gifts, and the like. The mall is due to be completed next month, and she would like the details of the lease settled as soon as possible so as she can complete a fit-out of the store in time for it to open when the mall does. Until now, Ms. Kaur has been negotiating the lease with the owners of the mall, MallCorp. However, some issues have arisen and she wants to be sure that she is protecting her interests. So she has decided to seek legal advice. She wants you to help her negotiate the final aspects of the lease that need to be settled, and draft the final lease that will be signed by the parties. Ms. Kaur wants you to contact MallCorp’s lawyer and discuss two provisions that she wants added to the lease. She had previously raised these issues, but MallCorp had refused to incorporate them. You have advised, however, that you think you can negotiate to get them included. Which of the following do you think are you least likely to do in your initial negotiations with MallCorp about the inclusion of these provisions? A. Threaten legal action if they refuse. B. Draft sample clauses to show to the other lawyer. C. Tell the other lawyer that your client may not lease the store without MallCorp agreeing to these provisions. D. Give the other lawyer time to seek instructions from, and discuss the matter with his or her client. Q 4. The options below list the order of sub-headings for a memo. Which of the following lists presents the best structure for your memo? B. Header Issues and Conclusions in Brief Discussion and Detailed Conclusions - Admissibility of photocopy of Sale Deed. - Proof of signatures on Sale Deed. C. Header Facts and Issues Discussion - Admissibility of photocopy of Sale Deed. - Proof of signatures on Sale Deed. Q 5. You represent Ms. Kaur, who is leasing a store in a new mall in Mumbai. The mall has three levels and over 100 stores, including food and beverage outlets. Ms. Kaur intends to open a shop that sells greeting cards, wrapping paper and trimmings, small gifts, and the like. The mall is due to be completed next month, and she would like the details of the lease settled as soon as possible so as she can complete a fit-out of the store in time for it to open when the mall does. Until now, Ms. Kaur has been negotiating the lease with the owners of the mall, MallCorp. However, some issues have arisen and she wants to be sure that she is protecting her interests. So she has decided to seek legal advice. She wants you to help her negotiate the final aspects of the lease that need to be settled, and draft the final lease that will be signed by the parties. You are trying to decide whether to include a table of contents in your draft of the lease. Which of the following is least likely to be a consideration when making that decision? A. The length of the lease. B. The number of provisions in the lease. C. Whether the client thinks there should be one. D. If the current draft lease from MallCorp includes one.